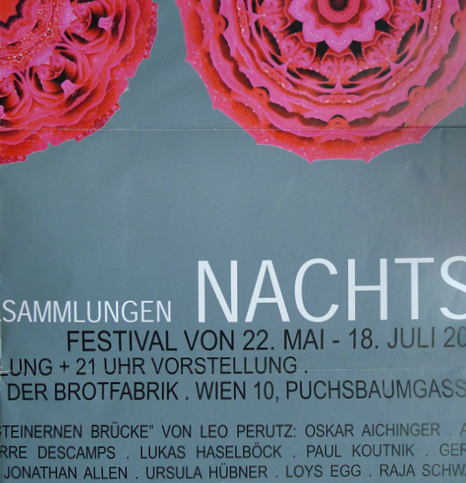 SIRENE OPERTHEATER – Nachts: Wunderkammer, curated by Brigitte Felderer, Spring 2009. Artists present their private collections, Jonathan Allen –‘Magic Money’. Six artists were invited by curator Brigitte Felderer to present a personal collection inside a cabinet opened for just twenty minutes before operas based on Rudolf II's wunderkammer in Prague. Jonathan Allen presented his collection of magician's publicity banknotes in advance of a performance directed by René Clemencic.